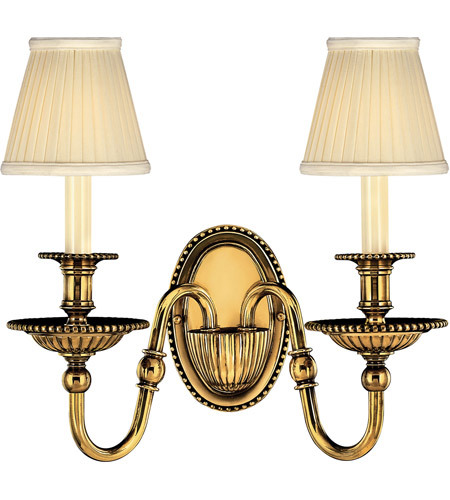 Q What size shades would be used with this sconce? 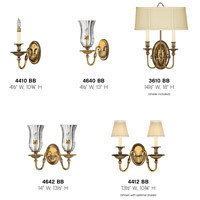 A The Hinkley Lighting Cambridge 2 Light Sconce 4412BB has shades that measure 5.5" wide and 5" in height. Q What is the extension from the wall on this product? 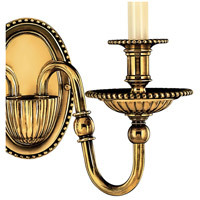 A The Hinkley Lighting Cambridge 2 Light Sconce 4412BB has an extension of 9.13".